The Kettlephone is typical of behind the times European phones. 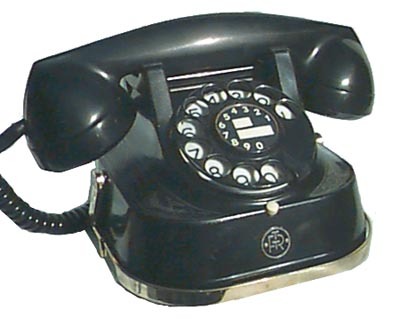 This style, although similar to our 1935 – 1952 phones, was probably made in the early 1950’s until about 1962 by Bell Tel. Mg. Co. of Antwerp for the Holland Government Telephone Co. The Bell Telephone Mfg. Co. is successor to Western Electric in Antwerp.